Tim Brown, from Snap Agency, submitted this entry. 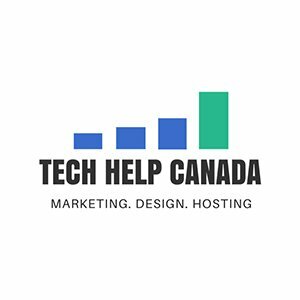 The author’s views are entirely his or her own and may not reflect the views of Tech Help Canada. 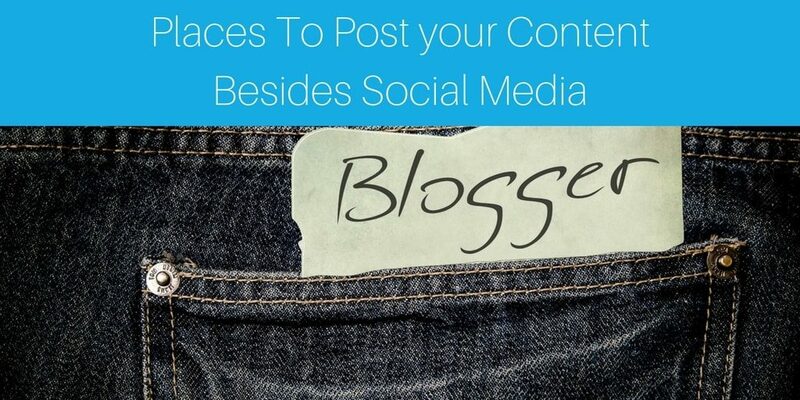 Here are 10 best places to post your content! If you are a business owner or digital marketer trying to get as much traction as possible, you probably know all about being eager to showcase your blog posts on as many platforms as possible where you know your target audience is likely to view your work. Of course, you’re always trying to make sure you’re promoting your work in the right places. But did you know that there are several awesome places to post your work (besides social media)? Places that you have probably never thought of before? An often overlooked way in which you can share your posts is by emailing them! If you do not have an extensive list of email contacts, you can make use of a lead magnet (like a white paper, or a e-book) which essentially works as a free giveaway in exchange for your followers’ email addresses. This is an incredibly simple way to construct a growing list of followers and fans that are interested in what you blog about. One thing to remember about this tool though, is not to email content out too frequently as people might start to think of you as spam. Once or twice a week is normally considered as ideal! Do you blog about small businesses? BizSugar.com is all about providing advice and news for small businesses. Why not share your content on BizSugar and in doing so, attract several new followers and fans. Looking to increase your readership and exposure? Then post your content on Blog Engage (blogengaged.com)! This incredible platform publishes blog posts from writers on a whole host of topics and you can therefore attract an entire new following of fans and readers who are interested in your subject matter. Another great way to increase your blog’s exposure is to make use of Visually. This platform helps organizations or individuals to create visual content and infographics, as well as a community for sharing these types of files. If you are able to convert your blog content into visual or infographic content, then share it in Visually, to see if this platform is right for you. With almost 1.5 million visitors to its site every month, Quora.com (the extremely popular question and answer site) is a fantastic way to market yourself. If you are able to answer a user’s question in a meaningful and intelligent way, you should definitely do so, especially if it is relevant to the content you write about. Reason being, you can include a link to one of your blog posts, thereby quickly increasing your following. On the flip side, Quora is also a great place to ask your own questions. If you know that the content you write is exceptionally good, consider sending your post to bloggers publishing Link Round Ups. Every week, and sometimes bi-monthly, bloggers gather the posts that they feel are the best in their particular field and feature them in a post. If you are featured, you receive backlinks and, in turn, receive massive additional exposure. Boost your readership on SlideShare.net (where you are less likely to compete with similar bloggers). All you need to do is convert your written content into a high quality slideshow presentation and post your content there. Outreach is an amazing way to get other people to share your content. Not only this, but you receive backlinks, thereby driving more traffic to your website. If you can, when writing a blog post, include a quote by a famous blogger and then link the quote to their content. After publishing your blog with a quote or tip from an industry influencer, let them know that you have quoted them and many time they will post a link to your blog post, or even link to it on their site. Do you need to build a blog following in a hurry? Why not join Triberr.com? This unique platform allows you to join specific “tribes” where you can network with likeminded bloggers and drive traffic to your blog by sharing one another’s content. If you believe you have what it takes in terms of innovative content, then Scoop.it may be just the place for you on which to publish your content. Master tip: Check the analytics after posting one of your best content to all of these. If you find that the traffic is only really coming from 3 or 4 of these, scrap the rest and post your best content on those 3 or 4. Tim Brown is a designer and Director of Marketing Strategy for Snap Agency, a Web Design firm in Minneapolis. 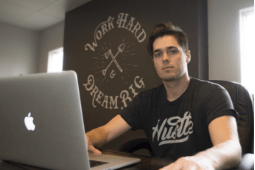 Tim enjoys creating websites that are built around business goals and built to attract traffic through SEO.